Gosh dang it, I wish we had spent more time in Austin. The city is so lively, so quirky and yes, so weird. You know how the slogan goes, keep Austin weird, y’all. Well, I added the y’all, but you get the point. Austin is a blast and lucky for us, just an hour drive from San Antonio. We only had one day to explore, and we did our best to make the most of it (even with my disgusting head cold). A big thanks to Sebastian for putting up with my constant nose blowing, slow walking and whiny moments. Open: Mon-Tues 11a.m.-3p.m. ; Wed-Fri 11a.m.-3p.m. and 6-9p.m. ; Sat 12-2p.m. and 6-9p.m. ; Sun 12-2p.m. Since I felt like I was on my death bed the day before we visited Austin, we spent a lot of time in our hotel room watching the Food Network. Ever see Eat St.? They cover all the amazing street food you can find in the U.S. and we just so happened to see an episode featuring Austin. Coincidence? Maybe. Destiny? Definitely. 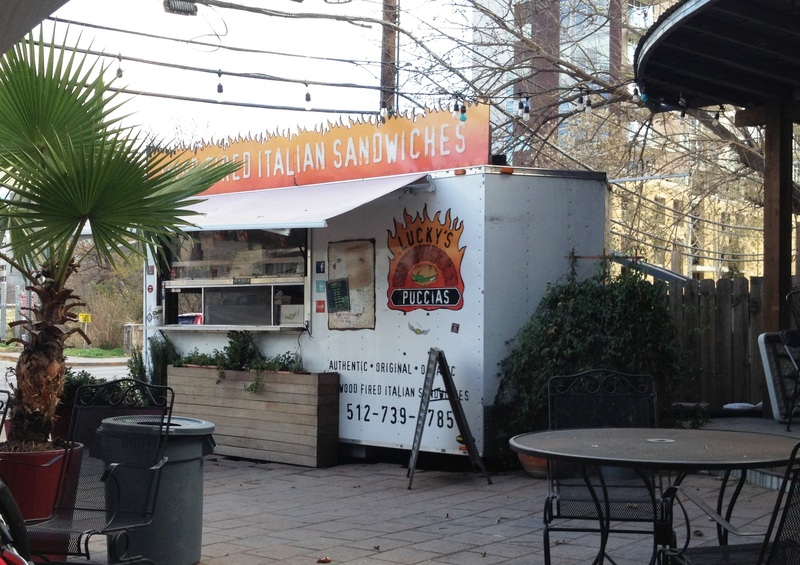 Our first stop in Austin was straight to Lucky’s Puccias, where the bread is made to order – crispy on the outside, soft on the inside delicious Puccia bread. 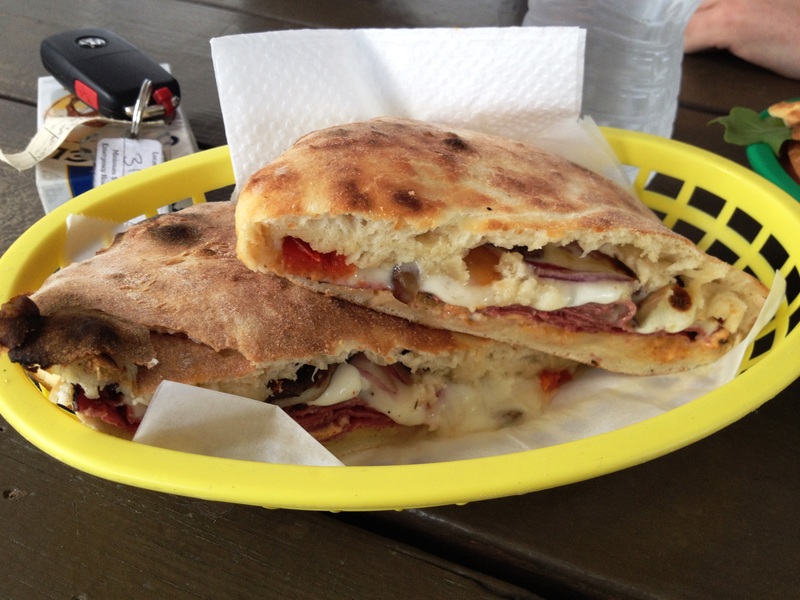 I tried one with prosciutto, mozzarella, arugula, tomato and basil oil, while the bf had the Puccia Classica with smoked ham, fontina cheese, mixed greens, tomato, onion and chipotle mayo. 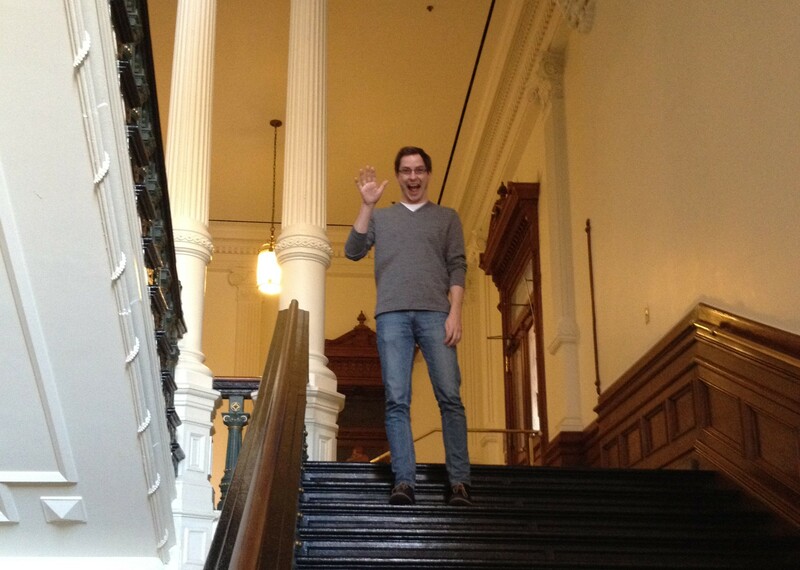 This was a great kick-off to exploring Austin. This was the second Presidential Library I’ve ever visited, and I have to say, I was very impressed. There were great exhibits, including a legacy gallery of the legislation passed by LBJ, images and artifacts from the fatal day JFK was assassinated, a social justice gallery featuring Civil Rights background, LBJ’s limousine, cases of gifts received by the Johnsons and a reproduction of the Oval Office. 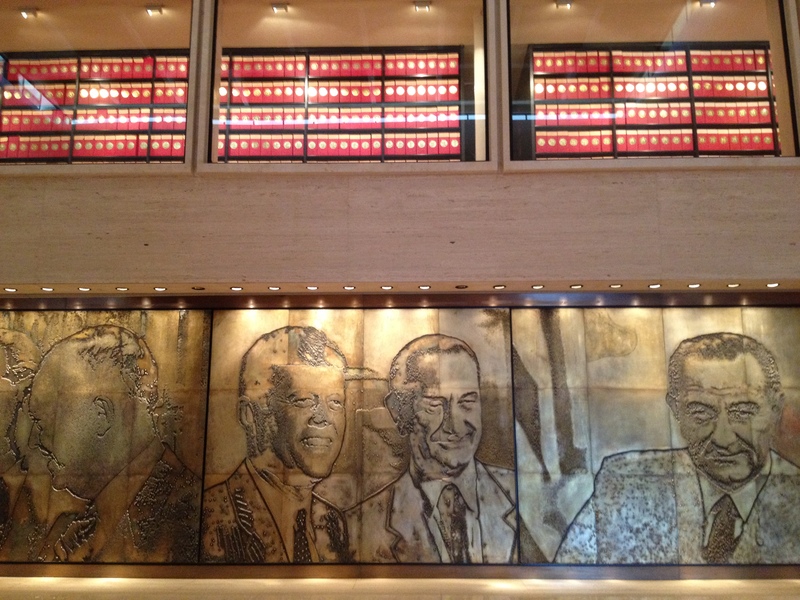 The museum showcases so much history, not only on LBJ, but America as a whole during his presidency. Open: Weekdays 7a.m.-10p.m. ; Sat-Sun 9a.m.-8p.m. This wasn’t on the top of my list, but when in Austin. 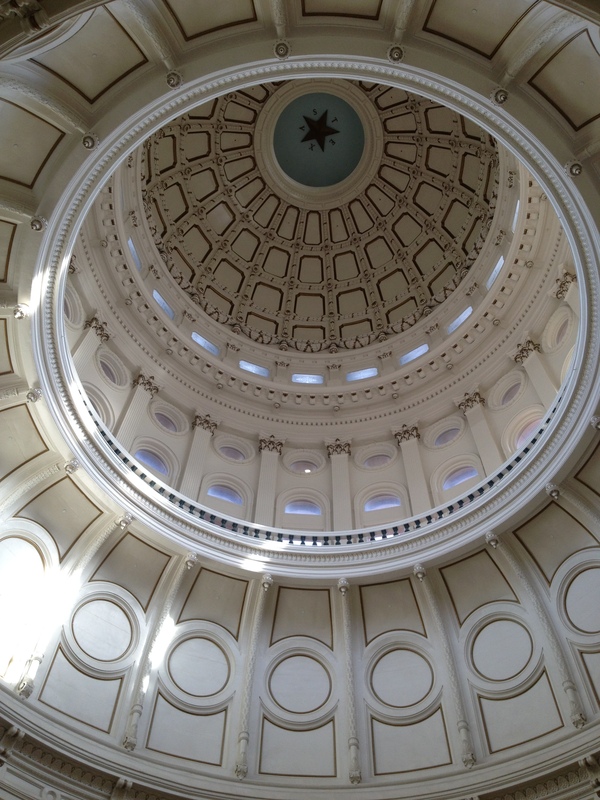 However, the Texas capitol building really is beautiful (and it’s free). 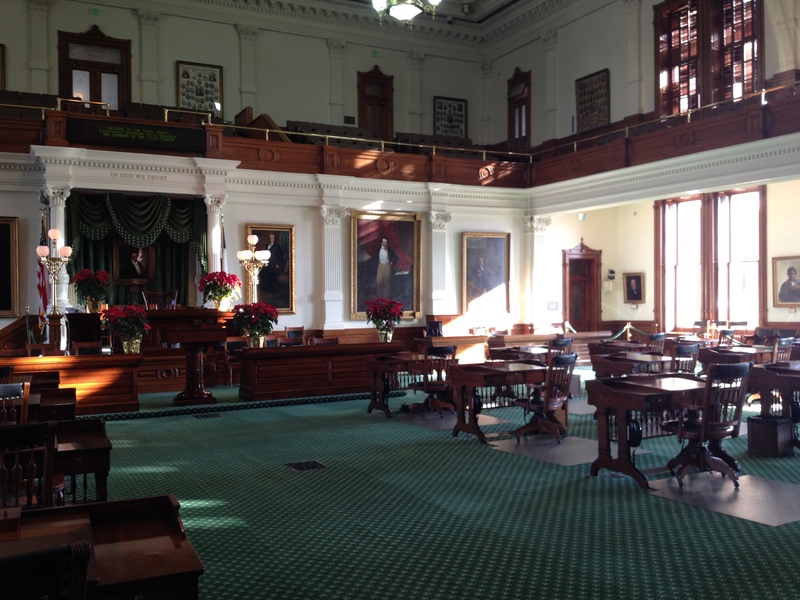 We enjoyed leisurely walking through and checking out the chambers of the Texas Legislature and the interior architecture. Fun fact – it’s taller than the U.S. Capitol in D.C., and the dome itself is worth the visit. 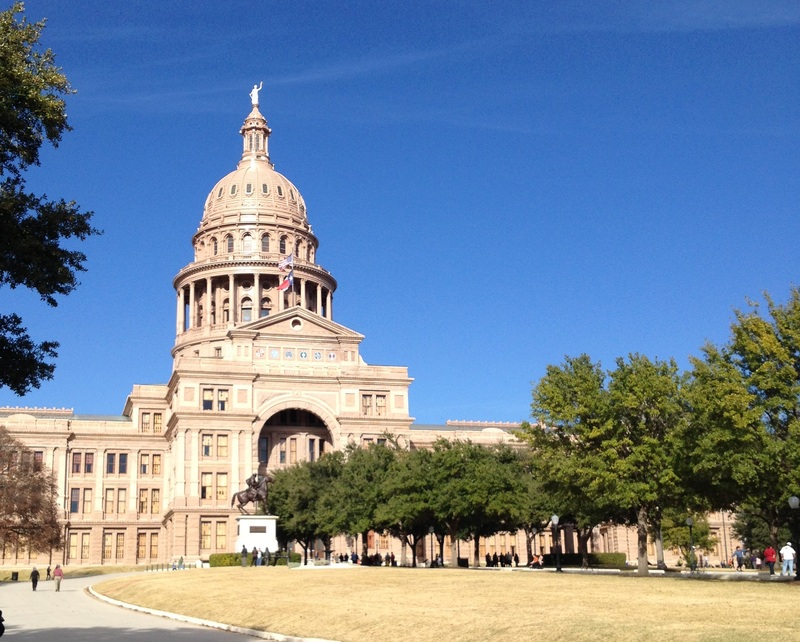 After learning about LBJ and walking through the state capitol, we were hungry – but not hungry enough for dinner. We wanted to sit outside and enjoy the sunshine so we randomly happened upon the Chupacabra Cantina with an outdoor patio. It had a bit of a hipster flair, but the Tex-Mex was delicious. 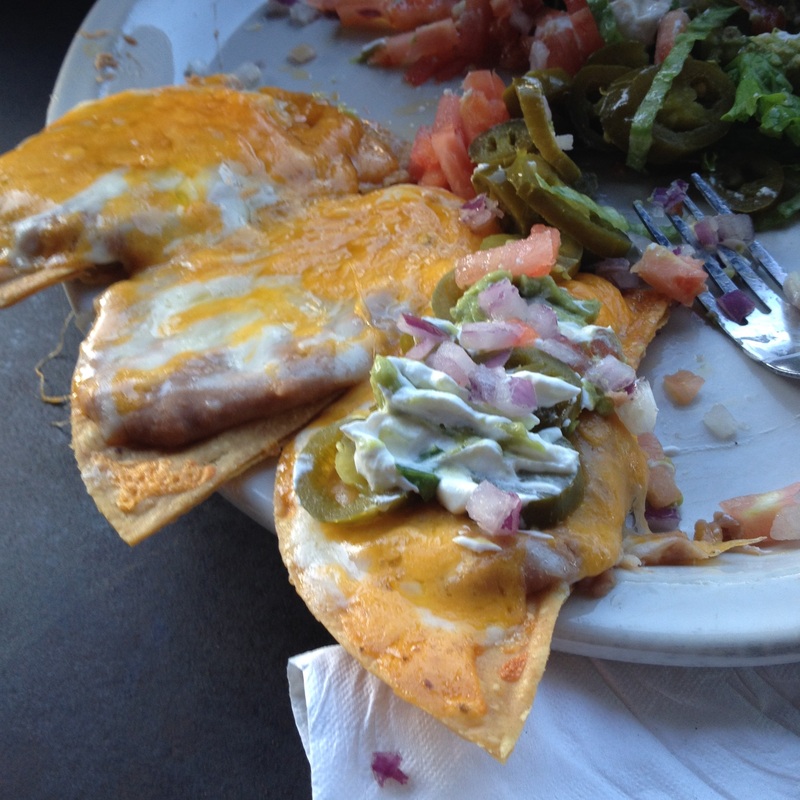 We tried the deluxe nachos, and I had a massive margarita. It was the perfect place to people watch and felt oh so Austin. In addition to the Chupacabra Cantina, there are a bunch of different restaurants/clubs/bars you can check out on Sixth Street. It’s part of the entertainment district in Austin, and most places we passed had live music playing. We didn’t actually bar hop, but it would be a fun place to do it if you have more time. Address: 306 E. 53rd St. This restaurant was another stop on our Diners Drive-Ins and Dives tour, and along with the others, it did not disappoint. It’s located in a tiny building on the outskirts of the city. 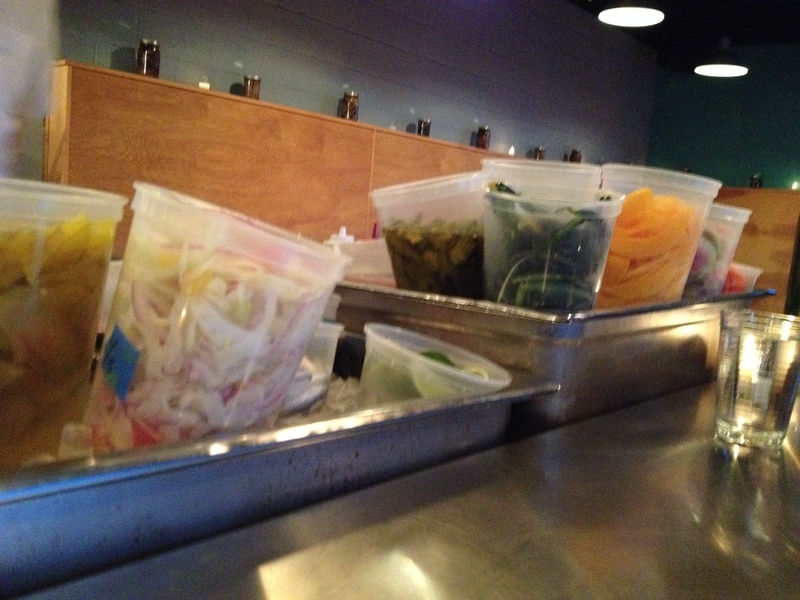 We opted to sit at the counter and watch as our dinner was prepared. 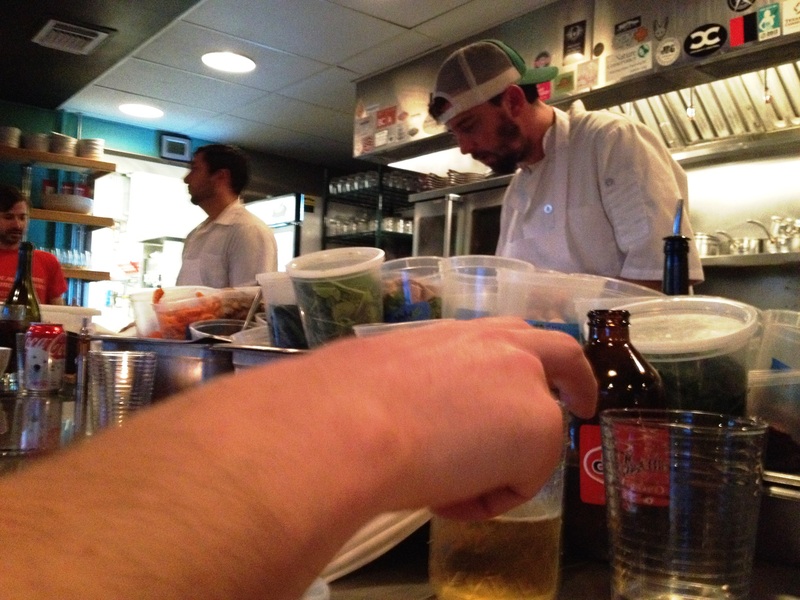 They have a clear attention to detail, resulting in beautiful and delicious food. 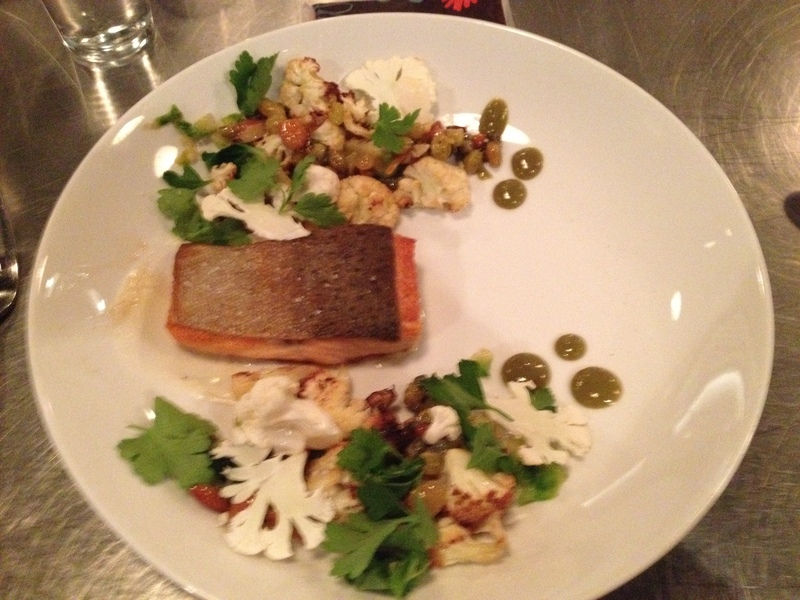 I tried the salmon with cauliflower, brussel sprouts, capers and almonds, and Sebastian had the cacao e pepe with parmesan, chestnuts and black truffle. If you ever make it there, ask for the gruyere popovers as an appetizer. Beyond amazing. If I wasn’t so worn out from the day (stupid cold), we would have headed back to Sixth Street, but I was ready to go home. I’m looking forward to going back some day – I know we only scratched the surface of this city.